Like many people, I’m still in recovery from the 2013 Legislative session. Unfortunately, the work never stops. Today, I went to a subcommittee meeting of the Environmental Quality Council where the members were discussing a proposed survey to be sent out to Counties that have 15% or more public land inside their boundaries. Reading the survey is enlightening. The gist of SJ 15, an interim study of Public Land Management, is to look at issues related to Public Land Management. Unfortunately, the study (and the survey) begins and ends with the assumption that the Federal Government has mismanaged public lands. 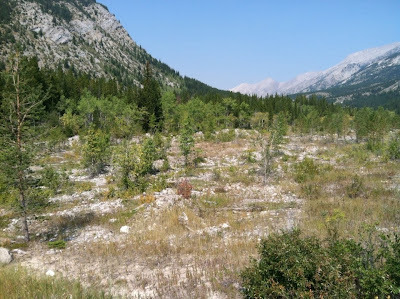 Frequently, questions related to fire danger, mismanagement of timber harvest, lack of motorized use and a common theme of simply not enough resource extraction pervades the survey. As one reads the survey, one realizes who’s influencing the committee. Between leading questions related to fire, endangered species, and motorized use, the undercurrent is clear: The goal is short term gains for private industry at the expense of the greater public good. Cloaked in a wholesome flag of economic prosperity, the survey and the study ignore the second largest industry in Montana: tourism on public lands. That includes the over $2 billion in revenues generated by hunting and fishing. In fact, the way this survey is presented, and the manner in which question are being asked shows that, once again, our elected officials would rather ignore the huge economic impact that hunters and anglers have in Montana in favor of other special interests. Only a couple of questions even mention hunting and angling, but they’re buried under leading questions about motorized use or how wildlife has hampered other industries. Look, the outdoor industry in Montana is the second largest industry in the state. It only trails behind all combined Agriculture. In fact, over $2 billion per year is spent chasing bulls, bucks, trout and walleye. That’s an economic powerhouse compared to the oil and gas industry and the timber industry. Public Land Management is a balancing act, especially when we look at the needs of each industry. We’re certainly supportive of the timber industry. That’s one reason we support the Forest Jobs and Recreation Act. We’re also supportive of developing oil and gas resources on public lands. But neither of these activities should take away from the core competency of the outdoor industry: Public lands in public hands. Neither of these industries should be shown favor over other uses of public lands. That’s the entire concept behind multiple use. As other states in the West have done, the EQC is heading down a path that will lead to the introduction of bills calling for the elimination of public lands, or the loosening of already watered-down environmental safeguards designed to help ensure abundant wildlife and hunter success. Our access programs will be attacked once again. Our publicly held wildlife will be placed on the auction block for the highest bidder. Utah, Wyoming and a few other western states have decided that the Fed doesn’t do enough on public lands. To these elected officials, it all comes down to extractive industries rather than a balanced, multiple use approach. Sage Grouse are a great example here. In Wyoming, former Governor Freudenthal issued an executive order to bring all stakeholders together to find the best way to save the thunder chicken. After the committee reviewed the science and the reality on the ground, they came up with some reasonable ways to help conserve the grouse. Those solutions relied on what was really affecting sage grouse populations: rampant development in core Sage Grouse areas. 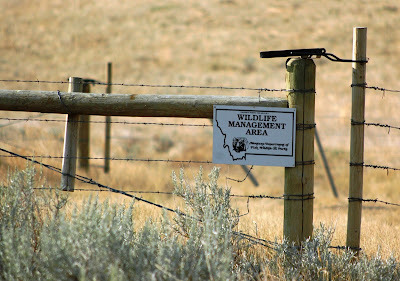 Livestock producers were also asked to modify grazing plans and avoid certain areas during mating season, and Oil and Gas companies were required to follow existing stipulations for winter drilling and spacing around leks rather than get exclusions and bowl over sage grouse leks. Not content with that, the Wyoming Stockgrowers Association called for the end of hunting sage grouse. The other canard of predator management came out. The science is clear that hunting and predation do not play large roles in sage grouse populations unless the habitat has been severely degraded. Hunters, rightfully, protested the call to eliminate not only a hunting opportunity but a funding source for sage grouse conservation. Utah is the other bright shining star of anti-public land sentiment. In Utah, the state has formally requested that the Federal Government hand over federal lands so that Utah can manage them for the highest yield when it comes to extractive industry. That means kicking hunters off public land because of Utah’s rules for state lands that don’t allow for extended camping. It also means a much higher tax burden for citizens to pay for fire suppression, weed management and many other issues that arise with land management. Utah’s solution to this increased tax burden? 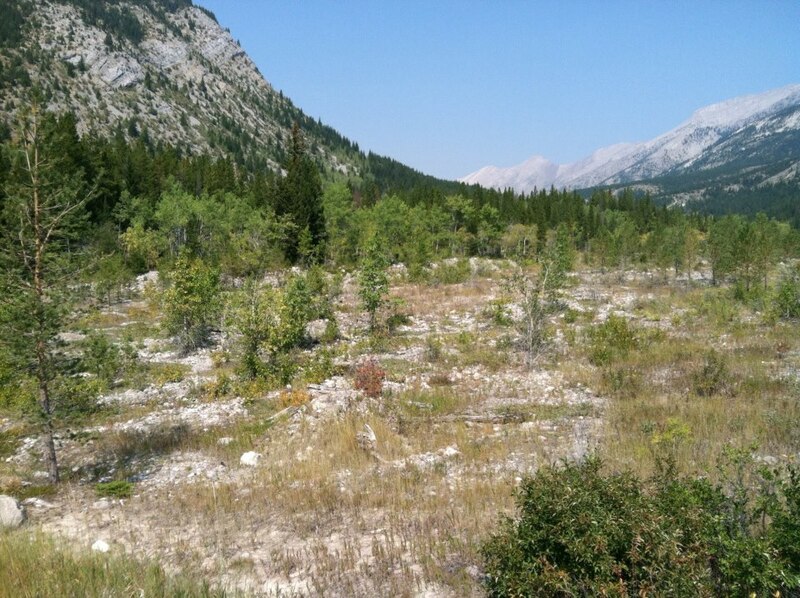 Don’t worry, we’re going to sell off these lands so you, the taxpayers, won’t be burdened with it. Yep – sell off public lands. It’s an idea that’s growing in popularity with Western Legislators. Now it hits Montana. The survey is only going out to Counties. Not people who use the lands. Not people whose businesses are dependent upon abundant public land and water. Not hunters or anglers or hikers, bikers or any member of the public. Instead, it is just the counties who look at one budget year at a time. The focus is on federal programs like Payment in Lieu of Taxes and Secure Rural Schools. These are reasonable concerns given Congresses’ desire to eliminate spending for those interests who aren’t as skilled at lobbying as others. Public Lands are a blessing in Montana. Our legislators need to hear that from public land hunters and anglers. Take a moment to send an email telling the Environmental Quality Council that any attempts to undermine the scientific management of wildlife on public lands, or any attempt to place one industry above another, will be met with fierce resistance. Your future hunting opportunity, as well as your children’s, hangs in the balance. The Commission had a tough choice to make when it came to approving a department proposal that many, including us, felt went too far. They split the baby down the middle and did a fine job of listening to the concerns of all constituents. It’s not a perfect proposal, but it represents the best effort yet to accommodate all concerns when it comes to wolf management. The Commission took our advice and eliminated the provision that allows hunters to shoot wolves over trap baits. We don’t hunt over baits in Montana nor should we. Ethics is often defined as what we do when nobody is looking, and in the case of shooting wolves over baits, our own ethics are clear: It ain’t cool. The Commission also pulled back on the end date of the season, which we also suggested. This is consistent with how Montana manages all game species. We don’t allow the taking of bears with cubs or who are visibly lactating. We don’t shoot pregnant elk late into winter when they are the most stressed and we shouldn’t be hunting wolves when they are starting to whelp. The image of a hunter holding up a lactating female wolf would be great fodder for anti-hunters who are already coming after our trapping on public lands. We don’t need to help that effort in a blood lust to kill wolves. We also need to follow the path of our forefathers and respect the lives of the animals we hunt. You don’t respect an animal by hunting until the end of March. They went further though: The limited the number of wolves per person to 1 around Yellowstone and they set a quota of seven wolves for the area surrounding the Park. This was because of great pressure applied by non-hunting groups and wildlife advocates who were seeking a permanent closure of hunting grounds when it comes to wolves around Yellowstone. The Commission did right and came up with a Tentative that should be supported by hunters & anglers. Good job boys. In regards to the Marias WMA, the proposed settlement would have cost Montanans 360 acres of prime river bottom land and breaks in exchange of limited access for hunters. The truth is, the WMA isn’t all that big. You can walk it in a day easy. If you’re one of the few who get drawn to hunt the WMA, that kind of solitude is priceless. If you’re a deer during hunting season, it means a lot less moving off of public land an on to private land to avoid the camo crowd. The decision also could set up another court case where the Judge will have to decide if there was an implied easement due to historical use or if the road is actually private. That issue needs to be settled, but not at the expense of hunter opportunity and hunt quality. Even if the Department and the Commission succeed in winning the case, which we think they will, and the road is opened up the department will still dictate the travel management. We would hope that whatever the outcome, the eastern portion of the WMA remains walk-in only in order to preserve the quality of the hunt and the conserve the security habitat in there. Serving on the Commission is a thankless job and often times, the appointees come under tremendous pressure both from the people of Montana and their elected officials. Commissions throughout the United States were set up to avoid the political wrangling that we see every legislative session. The concept that formed these commissions 100 years ago is just as valid, if not more so today. Your opportunity to hunt and fish should never be political in nature. With a good commission politics is kept out of wildlife management. For their first big decisions, this new commission has shown that they are open to public comment and responsive to valid concerns.